Nintendo Releases Event Plans for PAX West 2016 – 3WIREL! Nintendo is going to be at PAX West this year and the above image shows the times/dates events they are holding will happen. Full PR Release will be below. Nindies@Night: For the second year, Nintendo will kick off its PAX West activities with an event at the EMP Museum in Seattle. The event is free and open to the public and will give people a chance to sample both first playable and anticipated video games from our Nindie community. Playable games includeAxiom Verge (Thomas Happ Games), Jotun: Valhalla Edition (Thunder Lotus Games),Shantae Half-Genie Hero(WayForward/XSEED), Severed (Drinkbox Studios), World to the West (Rain Games),FAST Racing NEO – NEO Future Pack(Shin’en) and SteamWorld Heist (Image & Form) for the Wii U console, and Runbow Pocket (13AM Games), Punch Club (tiny Build Games), Severed (Drinkbox Studios), Azure Striker GUNVOLT 2 (INTI CREATES), Noitu Love: Devolution (MP2 Games) and Gurumin: A Monsterous Adventure (Mastiff) for theNintendo 3DS family of systems. Attendees will also have the chance to snag some giveaways and prizes, while supplies last. Additionally, all attendees will have access to EMP’s Indie Game Revolution exhibit, which includes newly installed titles from the Nintendo independent community. The Nindies@Night event takes place 8 p.m.-midnight on Sept. 1 at the EMP Museum, 325 Fifth Ave. N in Seattle. Indie Lounge at PAX West: For anyone who wasn’t able to make it to the Nindies@Night event, we are bringing the same playable Nindie content to PAX West in the convention center on the sixth floor in Room 612. Developers will be there to demonstrate their games and answer questions, and giveaway free swag. Indie Lounge hours are noon-9 p.m. Friday toSunday, and noon-6 p.m. on Monday. Nintendo’s Booth: PAX West attendees can swing by the Nintendo booth (South Hall, Booth No. 2335) to check out a variety of fun games and products. 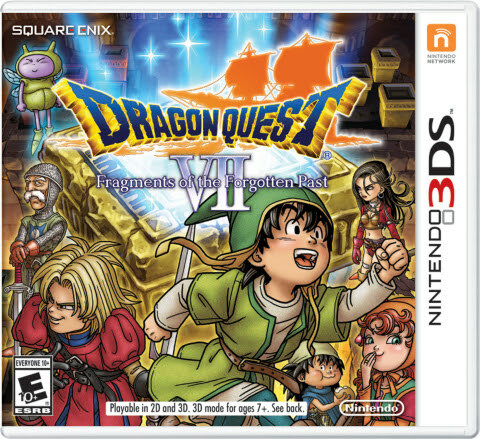 In addition to a number of fun activities themed to Pokémon Sun and Pokémon Moon, Nintendo plans to have playable versions of the Dragon Quest VII: Fragments of the Forgotten Past and YO-KAI WATCH 2games on hand. Additionally, visitors can check out cool displays of amiibo figures and the Nintendo Entertainment System: NES Classic Edition hardware, which launches Nov. 11. Pokémon Sun and Pokémon Moon Photo Experience: A photo booth will be set up at the Nintendo booth for fans to take some fun photos with two legendary Pokémon and Pokémon trainers. Additionally, fans who pre-order Pokémon Sunand Pokémon Moon onsite will receive a collectable gift.